Our customer first focus, knowledge, and experience set us apart from our competition. We allow our customers to do more with less which provides you greater opportunity to focus on growing your business. Our single-source solution business model with value-added design, strategy, production, warehousing, and technology provides a streamlined solution and reduced, efficient investment. We understand how best to print or manufacture and streamline the business processes with best-in-class technologies. 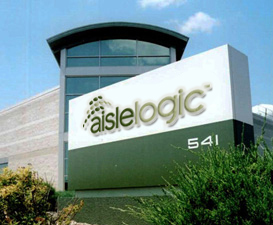 We do all this while making it easy to do business with aislelogic. It’s how we create value for our customers that is our difference. Our philosophy is striving to do what’s right for our customer. We see ourselves as an extension of our customer’s team, a partnership committed to creating value for your brand through Point-of-Sale and logistics management. Our goal is crafting solutions that integrate the equity of your brand to engage the shopper at the point of purchase. The importance of how we do things. We understand how to take a brand’s equity and reflect it in merchandising solutions that will engage shoppers at the point of purchase. We do this based on each customer’s specific and unique need. If it’s Design – it’s creating something really unique. If it’s Print or Manufacturing – it’s how something can be made, the process and/or the materials. If it’s Fulfillment – it’s fully managing the marketing elements and getting them where they need to go, for one location or thousands. If it’s Technology – it’s streamlining logistics with customizable on-line technology solutions to meet your specific needs, from inventory and asset management to brand program management. And, more often than not – it’s based on a combination of all the above. Our knowledge and experience help us produce the right merchandising solution using the right processes, with the right materials, for the right reasons to promote your brand at retail.